The Thrift Savings Plan, or TSP, is a retirement savings and investment plan for Federal employees and members of the uniformed services – including the Ready Reserve. This plan was established by Congress in the Federal Employees’ Retirement System Act of 1986. This plan offers the same types of savings and tax benefits that many private companies offer to their employees. The TSP is a defined contribution plan, meaning that the retirement income that is generated from a participant’s account will be dependent on how much the employee – and their agency – puts into the account, as well as any earnings that are accumulated over time. Employees can contribute funds into the TSP – up to a maximum allowable amount – each year. The TSP plan is automatically set up when an individual is initially hired. In addition to personal contributions that are made by the employee / participant, agencies may also make an additional deposit, as well as a matching contribution. There are two tax treatment options that are offered through the TSP. These are traditional and Roth. With the traditional option, the contributions that are made by the employee will be tax-deferred, as will the earnings, until the money is withdrawn in the future. Alternatively, if the Roth option is chosen, funds will be contributed to the TSP on an after-tax basis. However, the money can accumulate tax-free, and withdrawals are also taken in the future without being taxed. The purpose of the Thrift Savings Plan is to help participants save for retirement through both voluntary employee contributions, as well as employer matching contributions, for those who are eligible. Simplicity – Enrolling in the Thrift Savings Plan only takes a few minutes, and the benefits begin within a month after signing up. Once a participant has established a TSP account, there are no additional requirements. This is because the contributions, the matching contributions, and the portfolio rebalancing are all automatic. The choice of TSP funds also makes it easy to select options that match a participant’s risk tolerance, time horizon, and financial objectives. Low Costs – The charges and fees that are associated with investing in the TSP are quite low. The average fees in 2017 were approximately .033%. This equates to just $0.33 per $1,000 invested. Matching Contributions – In addition to the employee contribution, the agency or service may also make matching contributions, which can help to boost accumulation in the participant’s account. Tax Advantages – Depending on the type of TSP tax treatment that is chosen – traditional or Roth – TSP contributions may be made on a pre-tax basis, or alternatively, withdrawals may be received tax-free. In either case, the gains that take place inside of the TSP account are either tax-free or tax-deferred, and in turn can help the funds to compound exponentially over time. Wide Spectrum of Investment Options – There is a wide selection of investment options to choose from in the Thrift Savings Plan. These range from conservative, safe alternatives to growth-oriented equity options. The variety of choices can help employee / participants to best match funds with their specific needs and goals. The TSP can be particularly beneficial to workers who are in the middle and upper ranges of the federal pay scale, as these individuals may be unlikely to achieve adequate retirement income – per the replacement rate – from the FERS basic annuity and Social Security. Because the traditional funds that are contributed into the TSP can be deposited on a pre-tax basis, this can ultimately reduce a participant’s taxable income. Likewise, there is also a considerable benefit for service members who invest in the Thrift Savings Plan while deployed. This is because the income that is paid to soldiers during this time is tax-exempt, while the contributions that are made into a traditional TSP are pre-tax. In addition, the future distributions from the Thrift Savings Plan to these individuals will also be tax-free. So, the TSP can essentially mimic the Roth IRA, but with much higher contribution limits – which are some very nice benefits that non-service members cannot match. As it pertains to the Thrift Savings Plan, vesting means that a plan participant is entitled to keep his or her agency automatic contributions – and their earnings – after he or she has completed a specific time in service requirement. For most FERS employees, this time requirement is three years. However, for FERS employees who work in Congressional and various non-career positions, the vesting time period is two years. It is important to note that all federal civilian service will count towards TSP vesting – not just the service that was performed while the individual is a Thrift Savings Plan participant. The date that a TSP plan participant’s vesting period actually begins is determined by his or her TSP Service Computation Date, which the individual’s agency will report to the Thrift Savings Plan. This date is shown – along with other vesting information – on the quarterly and annual TSP participant statement. If a TSP plan participant leaves government service before he or she satisfies the vesting requirement, their agency contributions – as well as their earnings – will have to be forfeited. However, if the participant dies before he or she has separated from service, then the individual will automatically be considered as vested in all of the money in their TSP account. The United States government maintains two retirement systems for their employees. These include the Federal Employees Retirement System, or FERS, and the Civil Service Retirement System, or CSRS. The Civil Service Retirement Act became effective on August 1, 1920. Through this act, a retirement system for certain federal employees was established – the Civil Service Retirement System, or CSRS. This plan was later replaced by the Federal Employees Retirement System, or FERS, for federal employees who initially entered into their covered service either on or after January 1, 1987. When FERS was first created, all federal workers at that time had the option to convert from CSRS to FERS. Now, all federal employees are automatically enrolled in FERS and they do not have the option to choose CSRS. Therefore, CSRS is only available to federal workers who were in the plan before 1987, and who choose to remain with CSRS in lieu of switching over to FERS. 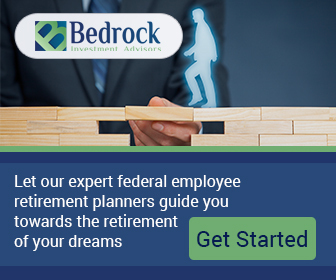 The Federal Employees Retirement System, or FERS, is one of the most important benefits that is offered to Federal employees. Knowing how this program works – and how it can be used to save and invest for the future – can make a substantial difference in the amount of retirement income that is available in retirement. The employee / participant’s agency pays for a portion of these benefits, and it withholds the cost of the Basic Benefit and Social Security via payroll deductions from the employee. The Thrift Savings Plan, or TSP, is automatically set up by the employee / participant’s agency. Employees can make contributions to their TSP account – up to an annual maximum. The agency also makes a deposit that is equal to 1% of the employee’s basic. In addition, the agency may make a matching contribution of up to 5% of the employee / participant’s contribution. One of the ways that certain Civil Service employees are able to save for retirement in a tax-advantaged manner is through the Civil Service Retirement System, or CSRS. The Civil Service Retirement System is a defined benefit, contributory retirement savings system. This means that the amount of retirement benefit that is received by the participant is a set, known amount. It also means that the employee / participant shares in the expense of the retirement annuities to which they will eventually become entitled. Those who are participants in the CSRS plan contribute a percentage of their own pay into the plan. The amount of contribution is typically between 7% and 8% of income, although in some cases, an employee may contribute up to 10% of his or her pay. When a CSRS participant retires, they are eligible to receive annuity income for a set period of time, or for the remainder of their lifetime. Although Federal employees who participate in the CSRS plan are not eligible for Social Security benefits, they may be able to take part in the Thrift Savings Plan, or TSP. Spouse beneficiaries of deceased civilian or uniformed services TSP participants will have a Thrift Savings Account set up in their own name if their share of the account is $200 or more. An employee / participant’s TSP account may work differently, depending on the individual’s employer. For instance, if an individual is eligible for, and is covered under, the Federal Employees’ Retirement System, or FERS, then the Thrift Savings Plan is one component of a three-part retirement package. In this case, in addition to the Thrift Savings Plan, the overall retirement package will also include the FERS basic annuity, as well as Social Security. For FERS employees who were hired after July 31st, 2010, or for FERS or CSRS employees who were rehired after July 31st, 2010, the individual’s agency automatically enrolls them into the Thrift Savings Plan. In this instance, 3% of the employee / participant’s basic pay will be deducted from his or her paycheck each pay period, and these funds are then deposited into the traditional balance of the TSP account – unless the individual has made an election to change or stop contributions. A contribution election may be made using the agency’s electronic system, if applicable. For those FERS employees who were hired before August 1st, 2010, and who are not contributing their own money into the TSP plan, these individuals still have a Thrift Savings Plan account with accruing Agency Automatic Contributions of 1%. If an individual is eligible for, and is covered under, the Civil Service Retirement System, or CSRS, or they are a member of the uniformed services, then the Thrift Savings Plan will be a supplement to the CSRS annuity or the individual’s military retired pay. For CSRS employees, a TSP account will be established by their agency after the employee / participant makes a contribution election using the agency’s automated system (if applicable). 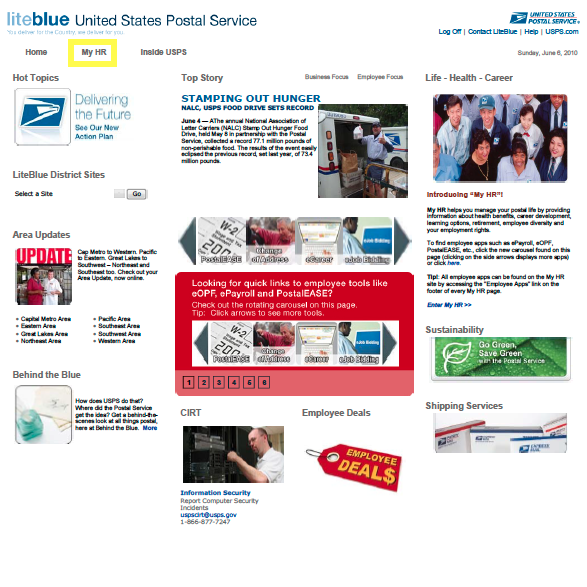 For example, many CSRS employees use Employee Express. If this system is not available, however, then a TSP contribution election form should be completed and returned to the individual’s agency. Federal civilian employees who were hired on or after January 1st, 1984, receive an automatic 1% contribution to their TSP account from their agency employer. If an individual is a member of the uniformed services and is not covered by the <link: Blended Retirement System (BRS)>, his or her Thrift Savings Plan (TSP) account will be established by their service after the individual has made a contribution election using their service’s automated system (if applicable). As an example, many members of the uniformed services use myPay. However, if this is not possible, the TSP-U-1 election form may also be completed and returned to the individual’s service. For CSRS employees, or members of the uniformed services, a TSP contribution election must be submitted through the individual’s agency or service in order to establish a Thrift Savings Plan account. In this case, the individual will not receive any agency contributions. 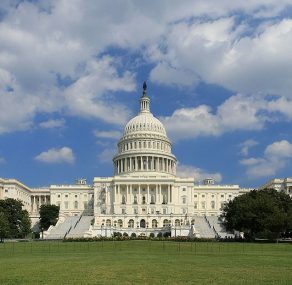 As part of the National Defense Authorization Act for Fiscal year 2016, a new retirement system for members of the uniformed services was enacted. This system, which is referred to as the Blended Retirement System, or BRS, “blends” the traditional legacy retirement pension – which is also known as a defined benefit plan – with government payments that are made into the Thrift Savings Plan (TSP), which is a defined contribution plan. For those who are members of the uniformed services, and who began serving on or after January 2nd, 2018, their service will automatically enroll these individuals in the Thrift Savings Plan (TSP) once they have served 60 days. In this case, 3% of basic pay is deducted each pay period and is deposited into the traditional balance of the TSP account – unless an election has been made by the individual to change or stop their contributions. However, individuals who are enlisted as Active Component Service members with 12 or more years of service prior to December 31st, 2017, will be grandfathered under the legacy retirement system. Likewise, those who are in the National Guard or Reserve and have accrued more than 4,320 retirement points as of December 3st, 2018, will also be grandfathered under the legacy retirement system. Those who are an active duty service member and have less than 12 years of service, or those who are a member of the National Guard or Reserve in a pay status and who have less than 4,320 retirement points as of December 31st, 2017, are also grandfathered under the legacy retirement system – but may choose to opt into the Blended Retirement System. Similar to other types of retirement plans, there are rules in place regarding Thrift Savings Plan contributions. These rules apply to both the participant / employee and the employer. The amount and timing of these contributions may depend on certain factors, such as the employee’s earnings and the percentage of pay deducted, as well as the IRS-mandated annual maximum contribution limit. One of the primary ways that a TSP account is funded is through employee / participant contributions. There are actually two types of employee contributions that can be made to the TSP, depending on the participant’s age. With regard to regular employee contributions, a TSP participant may begin making these at any time. These contributions come directly out of the employee’s basic pay – and they are deposited into the TSP plan each pay period. Regular employee contributions are made from the employee’s basic pay. Each pay period, the employee’s agency or service deducts this contribution and contributes these funds into the TSP in the dollar amount or the percentage that the employee has selected. There is a maximum amount that may be contributed each year by the employee. For 2018, this amount is $18,500 for participants who are age 49 and under. Those who are age 50 and over can contribute more. TSP participants who are age 50 or older may contribute an additional “catch-up” amount into their TSP account. Like the regular TSP contributions, these are deducted directly from the employee’s pay. In order to be eligible to make catch-up contributions, the employee must expect to contribute the maximum that is allowed each year, either into the TSP plan or to an equivalent tax-deferred employer-sponsored retirement plan such as a 401(k). For 2018, the maximum amount of catch-up contribution is $6,000. A new contribution election must be made by the employee for each calendar year for these types of TSP contributions. Note that FERS and BRS participants are not eligible to receive matching contributions on any catch-up contributions that are made. For members of the military / uniformed services, contributions of 1% to 100% of incentive pay, special pay, or bonus pay can be made, provided that the employee contributes to the TSP from their basic pay as well. However, catch-up contributions may not be made from incentive, special, or bonus pay. The United States Internal Revenue Code (IRC) places certain limitations on the dollar amount of contributions that can be made into the Thrift Savings Plan each year. It is important to note that the IRC reviews the contribution limits on a yearly basis, and it will often raise the amount that may be contributed into the TSP plan. Elective Deferral Limit $18,500 Applies to the combined total of traditional and Roth contributions. For members of the uniformed services, it includes all traditional and Roth contributions from taxable basic pay, incentive pay, special pay, and bonus pay, however, it does not apply to traditional contributions made from tax-exempt pay that is earned while in a combat zone. Annual Addition Limit $55,000 An additional limit imposed on the total amount of all contributions that are made on behalf of an employee and includes employee contributions (tax-deferred, after-tax, and tax-exempt), Agency / Service Automatic (1%) Contributions, and Matching Contributions. For IRC Section 415c purposes, working for multiple Federal agencies or services in the same year is considered as having one employer. “Catch-up” Contribution Limit $6,000 The maximum amount of “catch-up” contributions that can be contributed in a given year by participants who are age 50 and older. It is separate from the elective deferral and annual addition limit that is imposed on regular employee contributions. Note that for members of the uniformed services, Roth TSP contributions are subject to the elective deferral limit of $18,500 (for 2018), even if they are contributed from tax-exempt pay. In order to contribute tax-exempt pay towards the annual additions limit, an individual must elect traditional contributions for any amount that is over the elective deferral limit. In addition, if a member of the uniformed services is eligible to make catch-up contributions and he or she is deployed to a designated combat zone, they will not be allowed to make any traditional catch-up contributions from tax-exempt pay. However, Roth catch-up contributions from tax-exempt pay are allowed to be made. Eligible FERS (Federal Employee Retirement System) or BRS (Balanced Retirement System) participants can receive employer matching contributions. These are referred to as Agency / Service Matching Contributions. The amount of these Agency / Service Matching Contributions is based on the amount of the TSP participant’s regular employee contributions. For example, the employee receives matching contributions on the first 5% of pay that is contributed by the employee each period. The first 3% of pay that the employee contributes to the TSP plan will be matched dollar-for-dollar. The next 2% will be matched at 50 cents on the dollar. These matching contributions are not taken out of the plan participant’s pay. Nor do they decrease the dollar amount of the employee’s pay for income tax purposes. In addition, there is no matching contribution allowed for catch-up contributions that are made. Employee contributions that exceed 5% of the TSP participant’s pay will not be matched by the agency. If the employee stops making contributions, the agency / service matching contributions will also stop. For those who are participants in FERS (the Federal Employees Retirement System) and BRS (the Balanced Retirement System), the employee’s agency or service will contribute an amount that is equal to 1% of their basic pay into the individual’s TSP. These contributions are referred to as Agency / Service Automatic (1%) Contributions. The employee does not have to be making contributions from his or her own pay in order to receive these Agency / Service Automatic (1%) Contributions. It is important to note that these contributions are not taken out of the employee’s pay. Nor will they decrease the dollar amount of the employee’s pay for income tax purposes. The Agency / Service Automatic (1%) Contributions are deposited into the employee’s TSP account on each pay date. The Thrift Savings Plan (TSP) offers a variety of different investment options to choose from. These include both domestic and international stock funds, as well as index funds, and short-term Treasury securities. Because all participants in the TSP plan can have different financial needs and goals, all of the available funds – as well as combinations of funds – may not be right for everyone. So, there are many different risk and potential reward alternatives. Each of these fund options can provide benefits, as well as potential drawbacks, depending on an investor’s risk tolerance, time frame, and overall financial objectives. The L Funds use professionally determined asset mixes that are tailored to meet an investor’s objectives, based on various time horizons. The objective with the Lifecycle Funds is to invest in an appropriate mix of the G, F, C, S, and I Funds for a particular time horizon or a targeted retirement date. Because of this “moving target” approach, the overall investment mix of each Lifecycle Fund will tend to become more conservative (i.e., less risky to principal) as the specified date for the investor gets closer. For instance, this Lifecycle Fund strategy assumes that the greater the number of years an investor has until retirement, the more willing and able he or she will be to tolerate risk for the purpose of pursuing a higher return. With the Lifecycle Fund strategy, it is also assumed that, for a particular risk level and time horizon, there is an optimal mix of the G, F, C, S, and I Funds that provides the highest anticipated returns. Each quarter, the L Funds target asset allocations will change – essentially moving towards a less risky mix of investments as the investor’s target date approaches. So, if an individual is invested in one of the L Funds, they may notice that as they get closer to their target date, their allocation to the riskier TSP funds will get smaller, while the allocation to the more conservative G Fund will get larger. Has a set asset allocation that does not change over time. The progression from a target date L Fund to the L Income Fund is automatic. Also, new Lifecycle funds will be added for distant target dates as they may be needed. Who is a Good Candidate to Invest in the TSP Lifecycle Funds? The L Funds are designed so that 100 percent of a participant’s TSP account can be invested in the single L Fund that most closely matches his or her time horizon – or in the two L Funds closest to the investor’s time horizon. Any other use of the L Funds may result in a greater amount of risk in a portfolio than is necessary in order to achieve the same anticipated rate of return. When using the L Funds, investors should first determine the date when, after leaving Federal employment, they will need the money that is in their Thrift Savings Plan account. Then, identify the L Fund that matches that target date. Just like with any other type of investment portfolio, it is important that the funds chosen for inclusion in a participant’s TSP account are appropriately matched with individual financial needs and goals – both for the short- and the long-term. With that in mind, it is essential to have a good understanding of what each of the funds has to offer, as well as who may – and who may not – be a good candidate for each. The TSP’s G Fund is the most conservative of the TSP fund options. This fund consists of a non-marketable U.S. Treasury security that offers both principal and interest that is guaranteed by the United States government. However, the tradeoff for this principal protection is a relatively low rate of return. The Federal Retirement Thrift Investment Board currently contracts with BlackRock Institutional Trust Company, N.A. to manage the F, C, S, and I Fund assets. The F and C Fund assets are held in separate accounts. The F, C, S, and I Funds are index funds, each of which is invested in order to replicate the risk and return characteristics of its appropriate benchmark index. Therefore, the performance of these four index funds will typically match the broad market indexes. Both the growth potential and the possible risks of these funds are actually determined by the underlying index that each of these TSP funds matches. Prior to choosing any of these funds for inclusion in one’s TSP account, it is critical to understand how the return is determined, and what the potential risks to principal may be. TSP participants may choose to invest in the L Funds, which are also referred to as Lifecycle Funds. These are funds that invest in a variety of the other core TSP funds, based on professionally determined asset allocations, as well as the participant’s time frame until retirement. The G Fund assets are managed internally by the Federal Retirement Thrift Investment Board. This fund invests exclusively in a non-marketable U.S. Treasury security that has principal and interest that is guaranteed by the U.S. Government. This means that the United States Government will always make the required payments, and in turn, the G Fund will not lose money. The investment objective of the G Fund is to produce a rate of return that is higher than inflation, while at the same time, avoiding exposure to credit default risk and market fluctuations. The calculation of the interest rate that is paid on the G Fund is based on the weighted average yield of all outstanding Treasury notes and bonds that have four or more years until reaching maturity. With that in mind, those government employees / participants who invest in the G Fund through the TSP plan can essentially obtain a “long-term” rate of return (i.e., higher), even with a short-term security. However, because interest rates can be low in this fund, it can still be at risk of not growing enough in order to offset the reduction in purchasing power that can result from future inflation. In other words, even though it may not appear to be losing money per se, the loss of future purchasing power could still create financial hardships down the road. Who is a Good Candidate to Invest in the TSP G Fund? While the low rate of return on the G Fund may not be right for everyone, there are some TSP plan participants who could be good candidates to invest at least some amount of money in this particular option. For example, the G Fund may be a viable choice for investors who want to have some – or even all – of their TSP account completely protected from loss, regardless of what happens in the stock market. With that in mind, the G Fund can provide both stability and protection of principal, in any type of market or economy. The F Fund’s assets are held in a separate account and they are managed with the goal of tracking the Bloomberg Barclays U.S. Aggregate Bond Index. This broad index includes U.S. Government, mortgage-backed, corporate, and foreign government – issued in the U.S. – sectors of the U.S. Bond market. The earnings in this fund consist of interest income on the securities and gains – or losses – in the value of the securities. Due to the fact that the F Fund returns can move up and down with the returns of the bond market, the assets in the F Fund investment are subject to market risk. For example, when interest rates rise, bond prices – and therefore, the returns of the index and the F Fund – can fall. Alternatively, in an environment of falling interest rates, bond prices – as well as the index and the F Fund – returns can rise. When participating in the F Fund, TSP investors may also be exposed to credit default risk, or the possibility that the principal and interest payments on the bonds that comprise the index will not be paid. In addition, the F Fund may also be subject to inflation risk, as well as to pre-payment risk. This means that there is the probability that if interest rates fall, bonds that are represented in the index will be paid back early, therefore, forcing lenders to reinvest at lower rates. However, even though there are several types of risk that are associated with the F Fund, the overall risk is relatively low in comparison to certain other fixed income investments in the market. This is because the F Fund includes only investment grade securities. Who is a Good Candidate to Invest in the TSP F Fund? Although the F Fund may not be the ideal choice for all TSP participants, there are some who may find this fund to be attractive. For instance, during periods of falling interest rates, this particular fund may experience gains due to the resulting rise in bond prices. Therefore, in the long run, the returns in the F Fund could exceed those in more conservative options like the G Fund. However, the F Fund can also come with more price volatility – and, the returns in this fund are not guaranteed. That is because losses could occur when interest rates are going up, in turn, causing the price of bonds to fall. Because the prices of bonds and stocks tend to move opposite one another, the F Fund could be a good choice to add to a portfolio that contains stock funds. Doing so could help to provide diversification to the overall asset mix. The C Fund’s objective is to match the performance of the S&P 500. The earnings in this fund consist mainly of dividend income and gains, or losses, in the price of the stocks. This fund is passively managed, so it remains invested according to its indexed investment strategy – regardless of what happens in the stock market, or even in the economy overall. While there is the opportunity to earn a substantial return, then, the money that is in this fund is also subject to market risk due to the fact that the prices of the stocks in the S&P 500 index can rise and fall over time. This fund could also expose investors / TSP plan participants to inflation risk. This means that the C Fund investment may not grow enough to offset inflation and, in turn, the higher future prices of goods and services that will need to be purchased in retirement. Who is a Good Candidate to Invest in the TSP C Fund? Those who do not have a high tolerance for risk may not want to invest in the C Fund. However, this particular fund could be beneficial in a portfolio that also contains stock funds that track other indexes, such as the S Fund, which tracks an index of small U.S. company stocks, and / or the I Fund, which tracks an index of international stocks. In addition, the C Fund could also be advantageous in a portfolio that contains bonds. Because the prices of stocks and bonds tend to move in opposite directions, adding the C Fund to an otherwise conservative portfolio could help to provide needed diversity. The S Fund invests in a stock index fund that tracks the Dow Jones U.S. Completion Total Stock Market Index. This is a broad market index that is made up of stocks in U.S. companies that are not included in the S&P 500 Index. The earnings in the S Fund consist of dividend income and gains (or losses) in the price of the stocks. The S Fund uses an indexing approach to investing. In other words, it is a passively managed fund that remains invested according to its investment strategy, regardless of conditions in the bond market, or even in the economy overall. Because the Dow Jones U.S. Completion Total Stock Market Index returns will move up and down in response to overall economic conditions, an investment in the S Fund is subject to market risk. Here, investors could also be subject to market risk, as well as to inflation risk. However, this fund also offers the opportunity to obtain gains from the equity ownership of small to mid-sized companies. Likewise, it offers a way of further diversifying your domestic equity holdings. Who is a Good Candidate to Invest in the TSP S Fund? Although the S Fund may be too risky for some investors, it could be a good option for those who are seeking the opportunity to obtain gains from equity ownership in small to mid-sized U.S. companies. The S Fund can also offer a way to further diversify a portfolio that consists primarily of domestic equity holdings. In addition, because the prices of stocks and bonds tend to move in opposite directions from one another, having at least some TSP assets invested in the S Fund could provide diversification in an otherwise conservative, low-return portfolio. The I Fund invests in a stock index that fully replicates the MSCI EAFE – or the Europe, Australasia, Far East – Index. The earnings in this fund consist of gains, or losses, in the price of stocks, as well as dividend income, and even the change in the relative value of currencies. This fund uses an indexing approach to investing – meaning that it is a passively managed fund that remains invested according to its investment strategy, regardless of the stock market’s movements or even the general economic conditions. With the I Fund, TSP participants could be subject to market risk due to the index’s returns moving up and / or down in response to overall market and economic conditions. Due to its exposure to currency risk, the EAFE Index, and in turn the I Fund’s returns, will rise or fall as the value of the U.S. dollar increases or decreases relative to the value of the currencies of the countries that are represented in the EAFE Index. There is also the possibility of inflation risk with this particular TSP plan fund. However, investors can also have the opportunity to experience gains from equity ownership of non-U.S. companies. In addition, because the I Fund represents the stocks of companies that are located in many developed countries – excluding the United States – it can be a good way to further diversify the stock portion of an investor’s TSP allocation. Who is a Good Candidate to Invest in the TSP I Fund? While the I Fund may not be right for everyone, it can be useful in a portfolio that contains stock funds which track other indexes, such as the C Fund (which tracks an index of large U.S. company stocks), and the S Fund (which tracks an index of small U.S. company stocks). In addition, this fund could be a good option for adding to a portfolio that contains bonds, because the prices of bonds and stocks do not necessarily always move in the same direction as one another, or even by the same amount at the same time. Therefore, a retirement portfolio that contains a bond fund like the TSP’s F Fund – along with other stock funds like the C Fund and the S Fund – may tend to be less volatile than a portfolio that contains only stock funds. The Thrift Savings Plan offers two tax treatment options for employee contributions, as well as for income in retirement. These are traditional and Roth. If a participant opts to make traditional contributions into his or her TSP account, they will defer paying income tax on the amount of the contribution. Likewise, the earnings that are generated in the traditional TSP account will be tax-deferred until the time of withdrawal. When withdrawing money from a traditional TSP account, then, the entire amount of withdrawal will typically be subject to taxation. That is because none of this money has been taxed in the past. If, however, a TSP plan participant makes Roth contributions, this money will be contributed on an after-tax basis (unless he or she is a member of the military and they are making tax-exempt contributions from combat pay). The funds that are in a Roth TSP plan are allowed to grow tax-free. Likewise, the withdrawals that are taken from this type of account at retirement are withdrawn tax-free. This, in turn, could allow more net income to use for paying everyday living expenses, as well as for other needs and wants in the future. Paycheck Taxes are deferred, so less money is taken out of the participant’s paycheck. Taxes are paid up front, so more money comes out of the participant’s paycheck. Transfers In Transfers are allowed from eligible employer plans and traditional IRAs. Transfers are allowed from Roth 401(k)s, Roth 403(b)s, and Roth 457(b)s.
Transfers Out Transfers are allowed to eligible employer plans, traditional IRAs, and Roth IRAs. Transfers are allowed to Roth 401(k)s, Roth 403(b)s, Roth 457(b)s, and Roth IRAs. Withdrawals Taxable when withdrawn. Tax-free earnings if five years have passed since January 1st of the year the participant made their first Roth contribution, and they are age 59 ½ or older, permanently disabled, or deceased. A TSP participant may make both traditional and Roth contributions, if they choose to do so. The participant is allowed to contribute in any amount or percentage that they choose, subject to <Internal Revenue Code limits – link to Contributions page>. For example, the Internal Revenue Code places limits on the dollar amount of contributions that can be made to the TSP each year. (These maximum contribution limits can change on an annual basis). If a TSP participant chooses to go the route of making traditional contributions, he or she will defer paying taxes on these contributions, as well as on their earnings, until the funds are withdrawn. In this case, then, the contributions will go into the TSP account on a pre-tax basis, and the earnings that take place inside of the account will grow tax-deferred. (Note that if the TSP participant is a uniformed service member who is making tax-exempt contributions, then his or her contributions will be tax-free at withdrawal. However, earnings will be subject to tax). Note that when a participant is automatically enrolled in the TSP, all of the contributions are traditional. 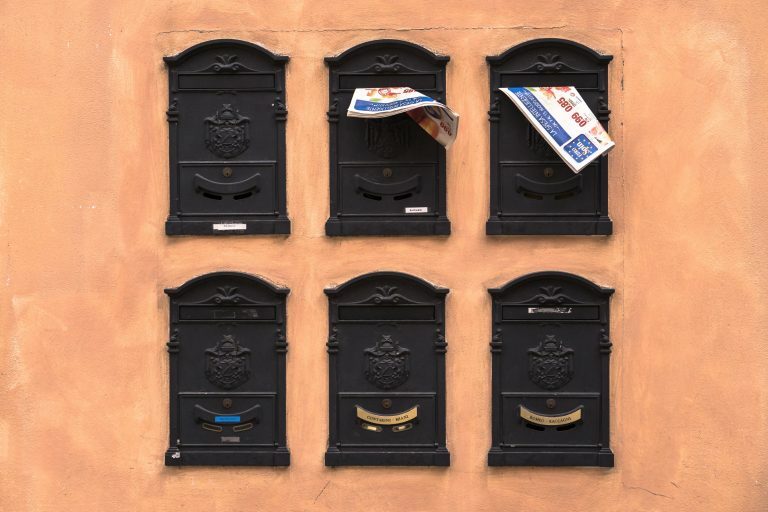 In order to make Roth contributions, an individual will have to submit a contribution election, informing his or her agency or service what portion of their contributions that they want to be designated as Roth. Both traditional and Roth contributions may be made, provided that the TSP participant stays within Internal Revenue Code limits as they pertain to the annual maximum. With the Roth TSP option, the contributions that go into the plan will already be taxed (unless the plan participant qualifies for tax-exempt contributions). The earnings that take place in the account are tax-free, as are the withdrawals (provided that the participant meets certain Internal Revenue Service requirements). While the Roth TSP has some similarities to a Roth IRA account, there are no income limits for making Roth TSP contributions. This makes the Roth TSP plan similar to a Roth 401(k). The payments that are made to a TSP plan participant directly will be deposited to his or her checking or checking account via electronic funds transfer (EFT). In addition to, or in lieu of, receiving TSP funds directly, a plan participant may transfer part or all of any single payment – or in some cases, a series of monthly payments – to a traditional IRA account, or to an eligible employer-sponsored retirement plan. 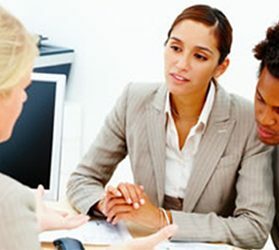 It is extremely important to discuss all of these possible options with a financial professional before making a commitment. That’s because a mistake that is made with a TSP account can be permanent – and it can impact the amount of money a retiree has available going forward. As with participants in traditional IRAs and retirement accounts, those who are in the Thrift Savings Plan may be subject to the IRS Required Minimum Distribution (RMS) rules. This means that, starting in the calendar year that the participant becomes age 70 ½, and also separated from service, they must withdraw at least a specified minimum amount from the TSP account. These Required Minimum Distribution withdrawals must also take place every year thereafter. The amount of the distribution is determined, based on the participant’s life expectancy. If the required distributions are not made, it can result in a penalty from the IRS. For TSP participants, the required minimum distribution calculation is based on the account balance as a whole, meaning that both the traditional and the Roth balances are included (if applicable). Beneficiaries of a Thrift Savings Plan participant can also be subject to the Required Minimum Distribution rules. These rules can be dependent upon whether the employee / participant passed away before or after he or she was subject to RMSs. So, it is important for both spousal and non-spousal TSP beneficiaries to be aware of if or when these distributions must take place. 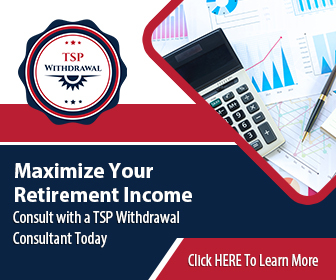 It is important to note that if a plan participant receives a TSP withdrawal payment before he or she has reached age 59 1/2, they may have to pay a 10 percent early withdrawal penalty on any taxable part of the distribution that is not transferred or rolled over. This penalty tax is in addition to the regular income tax that may be owed. There may, however, be certain exceptions. For example, if an individual leaves federal service during or after the year he or she reaches age 55 – or the year they reach age 50, if they are a public safety employee – then the 10 percent penalty tax does not apply to any withdrawal that is made that year or later. There is a myriad of tax-related rules that can pertain to distributions from the Thrift Savings Plan. 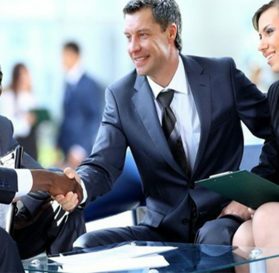 For that reason, it can be beneficial to discuss various options with a financial professional before making a decision regarding any type of income or withdrawal option. One of the full withdrawal options from the Thrift Savings Plan is to take a series of monthly payments. With this type of withdrawal, funds will be distributed in a series of substantially equal monthly payments until the TSP account has been completely paid out. Monthly payments that are computed by the TSP based on IRS life expectancy tables. With this option, the initial payment amount will be based on the TSP participant’s age and the account balance at the time of the first payment. Then, every January, the TSP will recalculate the amount of the monthly payment. This recalculation will be based on the participant’s age and the account balance at the end of the preceding year. A specific dollar amount. If a specific dollar amount is chosen, the participant will receive payments in the amount that he or she has requested until the entire account balance has been paid out. The amount of each monthly payment must be at least $25 or more. The monthly payment calculators on the TSP website can be used to estimate how many monthly payments may be received from a participant’s account when he or she picks a certain dollar amount. Likewise, the calculator can also be used for determining how much can be received if the monthly payments are instead based on the participant’s life expectancy. It is important to note that investment gains and / or losses could cause the account balance to either increase or decrease, which in turn, could either expand or reduce the amount of the monthly payment and / or the duration. While a TSP participant is receiving monthly payments from a TSP account, they may change the proportions of the account balance that are invested in different TSP funds by implementing an interfund exchange. However, if a participant has both a traditional and a Roth balance in their TSP account, they may not allocate the traditional balance and the Roth balance differently. The allocations that are chosen if or when a participant requests an interfund transfer between TSP funds will apply to both the traditional and the Roth account balances pro rata. Because a partial withdrawal from a TSP account may only be made one time, it is important to make sure that it is being made for the right reasons and that no mistakes are made in the process. Going over all options with a financial professional who is well-versed in the Thrift Savings Plan is highly recommended before moving forward with any type of withdrawal from the TSP. Once a TSP plan participant has separated from service, it is possible to withdraw some or all of the funds that are in the account. One way to do so is to choose from one of the full withdrawal options. For instance, with a full withdrawal, one single lump sum may be taken from the account. Rather than taking direct receipt of the lump sum withdrawal, a Thrift Savings Plan participant may opt to instead direct all or part of the single payment to either an IRA account or an eligible employer-sponsored retirement plan. Similarly, if the participant has both traditional and Roth balances in the TSP plan, then all or part of the traditional portion can be directed to a traditional IRA or retirement plan, and likewise if there is money in a Roth TSP plan, all or some of these funds may be transferred over to a Roth IRA or employer-sponsored plan. 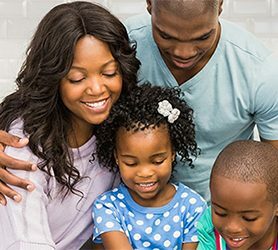 Because there are several withdrawal options that can be chosen from with the Thrift Savings Plan, going over the different alternatives with a financial professional can help participants to make the best choice, as well as to coordinate these funds with other retirement savings and investments. The calculator that is on the TSP website can be helpful for determining whether receiving monthly income is the best choice. 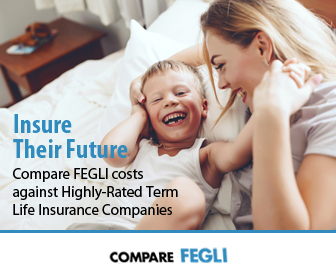 It does so by comparing the available options and features that may meet an individual’s needs. Likewise, if an individual is already receiving TSP monthly payments and he or she would like to do some calculations in order to determine if a different monthly payment option would be better, the <link: TSP Monthly Payment Calculator> can also be used. TSP participants / retirees may withdraw their account balance as a life annuity. An annuity offers a monthly benefit that is paid out for an individual’s lifetime (as well as for the lifetime of a spouse or other joint annuitant, if applicable). The TSP will purchase an annuity for the plan participant from the TSP’s annuity provider. The minimum amount of the annuity contribution must be at least $3,500 – and this minimum applies to both the traditional and the Roth options separately. 100% survivor annuity – With the 100% survivor annuity, the amount of the monthly annuity payment to the survivor is the same as the payment that is made while both individuals are alive. However, the dollar amount of the monthly payment that is received while both recipients are still alive is typically less than it would be if the 50% survivor annuity option is chosen. 50% survivor annuity – With the 50% survivor annuity option, the amount of the monthly annuity payment to the survivor – regardless of whether the survivor is the TSP retiree / participant or another individual – will be 50% of the annuity payment that was made while both individuals are alive. Cash Refund – If the TSP participant / annuitant – and his or her joint annuitant, if applicable – dies before the amount used to purchase the annuity has been fully paid out, then the remaining amount will be paid to a named beneficiary (or beneficiaries) in a lump sum. This feature can be combined with either a single life or a joint life annuity, and with level or increasing payments. Ten-Year Certain – If the TSP participant / annuitant dies before receiving annuity payments for at least a ten year period, payments will continue to a named beneficiary for the remainder of the ten years. If the TSP participant / annuitant lives beyond the ten year period, he or she will continue to receive payments. But in this case, no payments will be made to a beneficiary when he or she dies. This feature may be combined with a single life annuity that has either level or increasing payments. However, this feature may not be combined with a joint life annuity. It is important to note that if one of these features is chosen, the dollar amount of the monthly payment will be less than it would have been if the annuity did not have the feature. For those who are FERS or CSRS participants, the life annuity that is purchased with TSP funds is not the same thing as the Basic annuity that is received as a result of the FERS or CSRS retirement coverage. Although there are a number of options for withdrawing funds from a Thrift Savings Plan, it is critical that participants proceed with caution before making any type of long-term and irreversible commitment. Because the rules for putting TSP income into place are somewhat convoluted, it can be difficult at best for participants to know whether or not they are heading in the right direction. But unfortunately, one small mistake could lead to a big difference in the amount of retirement income that is received over a lifetime – and this, in turn, can affect overall lifestyle. In any case, it is highly recommended that TSP participants work in conjunction with a financial professional who is knowledgeable about Federal employee savings and retirement income options, and who can implement the best overall plan for participants’ needs and objectives. While the Thrift Savings Plan can offer a variety of options, both for investment and accumulation purposes, as well as for generating retirement income, the reality is that this plan is also very limited. For example, the choices that are offered for retirement income are insufficient, and in most cases, will generate a lesser amount of income than many other alternatives that are available in the financial marketplace. On top of that, the rules for setting up and securing withdrawals from the TSP can be extremely complex and confusing – which in turn, can oftentimes lead retirees to making a non-reversable commitment that is not the best option for them. With that in mind, retirees will generally find that transferring funds out of the TSP and into a personal IRA account can provide a myriad of options for both investment and long-term guaranteed retirement income. Prior to moving what could be a significant sum of money into any account, though, it can be advantageous to discuss all of the potential alternatives with a financial professional who specializes in working with Federal government employees and their retirement plans. Because the account balance is a Thrift Savings Plan account can grow to a substantial amount, there are several options available for obtaining these funds. One is to take an immediate distribution. Yet, while this can provide a participant with a lump sum of money for paying off debt, or using for everyday living expenses, taking receipt of a large sum of money can create a significant taxable event. This is because in general, TSP withdrawals are subject to Federal income tax. In addition, depending on the TSP participant’s age when he or she leaves Federal service and takes a distribution from the plan, there could also be an additional 10% “early withdrawal” penalty from the IRS. There are, however, ways to move funds out of a TSP account without incurring taxes. For example, a direct rollover occurs when a Thrift Savings Plan participant moves some or all of their TSP balance to an IRA. In this case, contributions and earnings from a traditional TSP may be rolled into a traditional IRA. Likewise, Roth TSP funds may be rolled into a Roth IRA. In either or these instances, no taxes would be due, since the investor / participant did not take receipt of the funds. It is important to note, though, that if a TSP participant decides to move funds from a traditional TSP into a Roth IRA, taxes will be due on the amount of money that was rolled over. If there is no executor or administrator, the funds from the Thrift Savings Plan account will go to the participant’s next of kin who is entitled under the decedent’s estate via the laws of the state in which the TSP participant resided at the time of his or her death. The Thrift Savings Plan allows for both spouse and non-spouse beneficiaries. In fact, a TSP participant may designate one or more persons, and / or a trust, corporation, legal entity, and / or his or her estate to receive the funds in the TSP account at the time of his or her death. Both primary and contingent beneficiaries may be named. This can be beneficial in the event that a primary beneficiary (or beneficiaries) pre-decease the employee / participant. In either case, the participant will be required to indicate the share of the TSP account that he or she would like for each beneficiary to receive. If the plan participant has both a traditional and a Roth balance in their TSP account, he or she will not be allowed to designate which balance each of the beneficiaries will receive. Rather, both of these account balances will be paid out proportionally to each of the beneficiaries, according to the designated share of the entire TSP account. When the TSP receives notification that a participant has padded away, a spousal inheritance account will be converted to the TSP G Fund. A beneficiary who is a spouse will be allowed to access and manage their inherited TSP account, just like the original participant did. In addition, no tax would be due on the inherited amount, unless some or all of the money is withdrawn via normal or <required minimum distributions – link to TSP Required Minimum Distributions page>. A spousal beneficiary can also opt to roll the TSP account fund into an IRA so that he or she is able to choose investment options other than those that are offered through the Thrift Savings Plan. Doing so can provide much more flexibility and control over these funds. Accounts can be opened at most insurance and financial services companies. The spousal beneficiary can also obtain advice from a trained financial professional regarding what to do with these funds going forward. It is important to note that if a spouse beneficiary’s share of the balance in the TSP participant’s account is less than $200, the funds will be paid out directly to the beneficiary, and he or she will then no longer be able to remain in the TSP plan. Similar to many other types of retirement plans, the Thrift Savings Plan provides spousal rights for the spouses of both employee / participants, and for retirees. These rights, however, can differ, depending on whether the TSP participant is covered under FERS (the Federal Employees’ Retirement System), or CSRS (the Civil Service Retirement System). Under the FERS program, unless a spouse intentionally waives his or her rights, they will be entitled to receive a specific type of TSP annuity. There are many different options that are offered via the current Thrift Savings Plan annuity. When choosing the option for the TSP participant’s spouse, it is important to have a good understanding of how – and how much – the income benefits may change for a surviving spouse, following the death of the employee / participant. For example, depending on the option that is chosen (such as a joint life annuity with a 50% survivor benefit), a surviving spouse’s income from the TSP annuity could drop to only half of the original income benefit amount. So, unless there are other income arrangements in place, this could significantly alter a survivor’s lifestyle going forward, and could even cause a substantial amount of financial hardship. The spouses of CSRS employee / participants have fewer rights than the spouses of FERS participants. In this case, it is up to the employee – not the spouse – whether or not the spouse will continue receiving any income at all following the participant’s passing. With the CSRS plan, a spouse will simply receive a notification letter after the plan participant has retired. This letter will inform the spouse whether they have a right to the TSP funds going forward. A non-spousal beneficiary will not be allowed to keep the TSP account open after the employee / participant has passed away. In this case, the TSP death benefit may be made directly to the beneficiary (or beneficiaries). Alternatively, the payment could be made to an “inherited IRA” account. When benefits are paid to from the TSP account directly to a beneficiary (as versus into an inherited IRA), there may be a mandatory 20% withholding incurred. This tax will be due in the year the distribution has been made. Because this tax could cause a substantial financial burden, it is oftentimes more beneficial for a beneficiary to have the proceeds transferred to an inherited IRA account, so that the funds may continue to grow. An inherited IRA account can be opened through an insurance or financial planning firm. Going this route can also allow for much more flexibility regarding what happens to the funds – including taxation issues – going forward.